Cubs from both Sherburn packs were part of over 80 cubs who attended the Wetherby District annual event in Tadcaster. 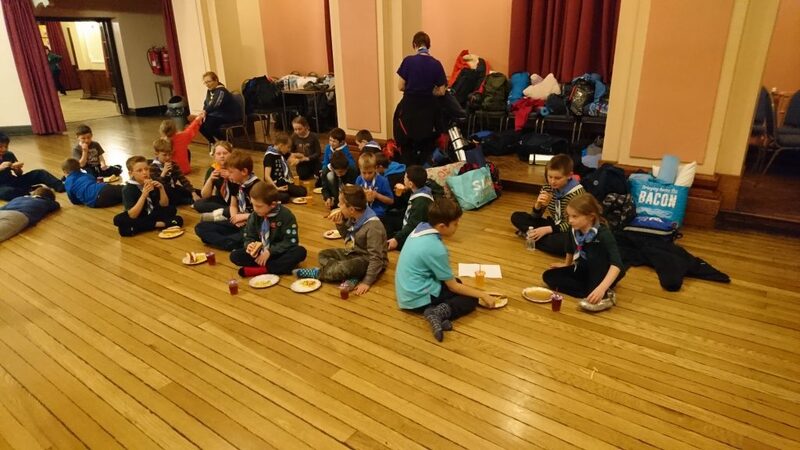 All the Cubs really enjoyed the 6.5KM night hike, which is just over 4 miles, with a quick drink & snack stop on route. Once back at the Riley Smith Hall it was time for hotdog & chips before getting ready for bed & movie time. Lilo and stitch kept the cubs entertained, although some of them were fast asleep before the end of the film, the last of the cubs settled around 2am but it was 7.30 before the first were awake. Just time for a quick breakfast & sing-song lead by Bungle before heading home.